This surveillance video from a Chicago Police raid on a Chinatown spa was instrumental in the widened protections for undocumented immigrants. It shows Jessica Klyzek being arrested. She later sued and won a $150,000 settlement. CITY HALL — A City Council committee moved Wednesday to widen protections for undocumented immigrants from attacks by "police officers and other city employees." Expanding Chicago's role as a so-called Welcoming City or Sanctuary City, the measure, proposed by Mayor Rahm Emanuel and several aldermen, would outlaw verbal abuse aimed at undocumented immigrants based on their race or citizenship, as well as banning threats made against them to reveal their undocumented status to federal immigration authorities. Ted Cox explains the reasoning behind the proposal. Seemi Choudry, director of the Mayor's Office of New Americans, said it was intended to "make the city safer and more attractive for immigrant communities" and that it was meant to protect their "respect and dignity." 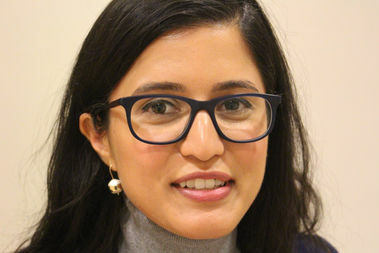 Seemi Choudry, director of the Mayor's Office of New Americans, said the expanded protections are intended to "make the city safer and more attractive for immigrant communities." "Everyone came from somewhere," said Ald. Ariel Reboyras (30th), a co-sponsor. "I think it's important that we respect that." Ald. Scott Waguespack (32nd), another co-sponsor, aimed barbs at Republican presidential candidate Donald Trump, without mentioning him by name. Waguespack said the amended ordinance was intended to strike back against a "movement of hate that has taken over a large part of the Republican Party and our national politics." Trump, of course, has proposed building a wall on the U.S. border with Mexico, and has had to fend off criticism after he suggested Mexican immigrants were "rapists." Ald. Pat Dowell (3rd), chairman of the Human Relations Committee, which passed the measure without opposition Wednesday, said it was aimed at "police officers and other city employees." Debbie Liu, of the Coalition for a Better Chinese American Community, cited the case of Jessica Klyzek, who was subjected to Chicago Police misconduct in a 2013 raid on a Noble Square tanning spa, as being instrumental in creation of the new ordinance. In a profanity-laced incident captured on the store's surveillance video, an officer shouted at Klyzek that "you're not a ------- American," adding, "I'll put you in a UPS box and send you back to where the ---- you came from." Klyzek was also struck by another officer after being handcuffed. A naturalized American citizen born in China, Klyzek filed a federal suit in 2014 and received a $150,000 settlement from the city later that year. WBEZ reported a year ago that the Independent Police Review Authority recommended suspensions for three officers who took part in that raid, in which they suspected prostitution at the spa. The Police Department did not immediately respond to requests for information on whether the officers ever served those suspensions. According to Choudry, the amended Welcoming City ordinance bans all forms of coercion or verbal abuse aimed at immigrants, and calls for Police Department violations to be referred to the review authority.